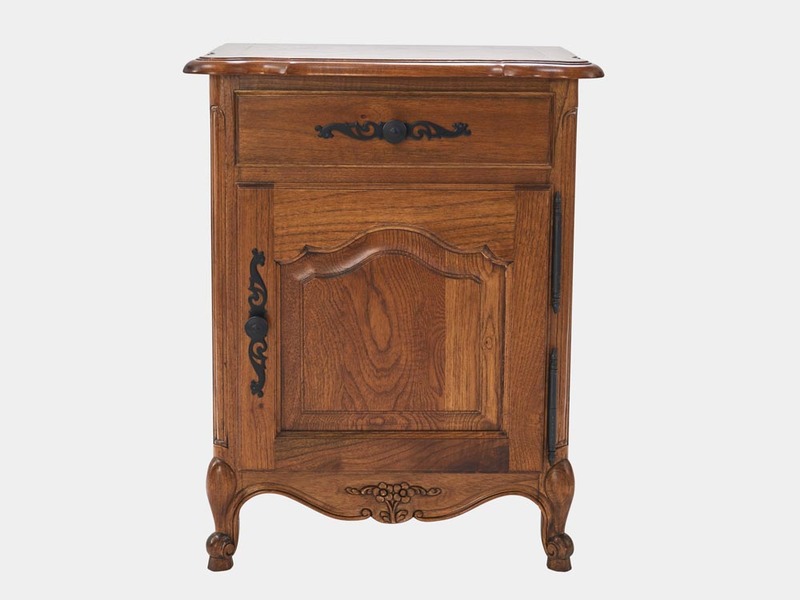 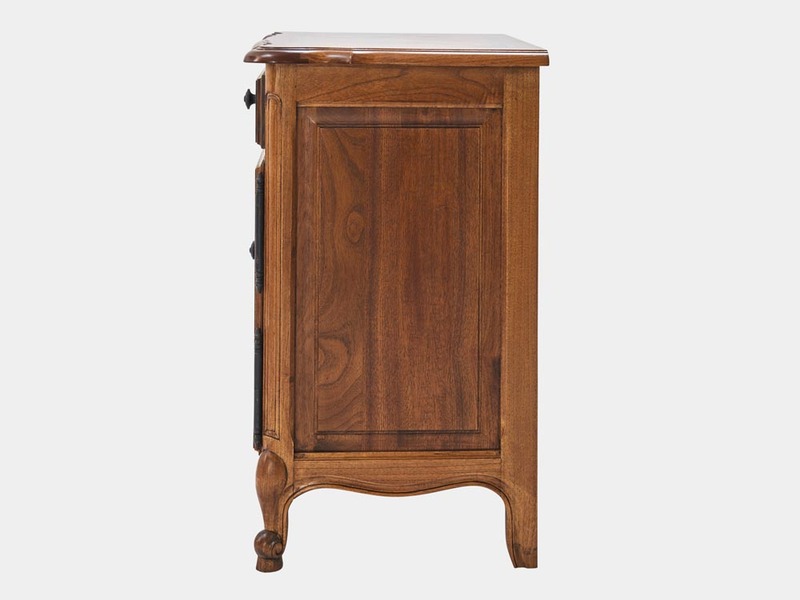 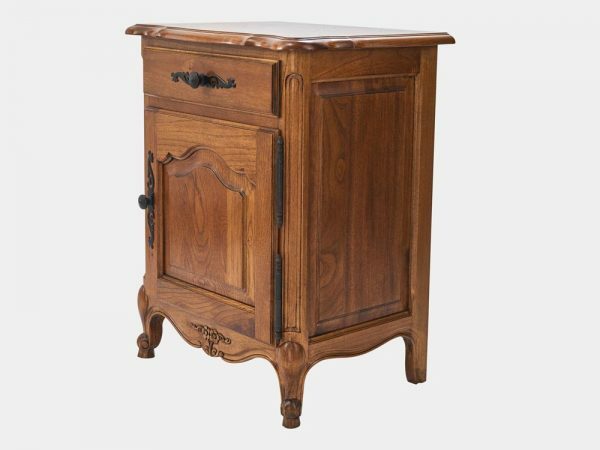 Louis Bedside Cabinet with 1 drawer and 1 cupboard in walnut in oak. 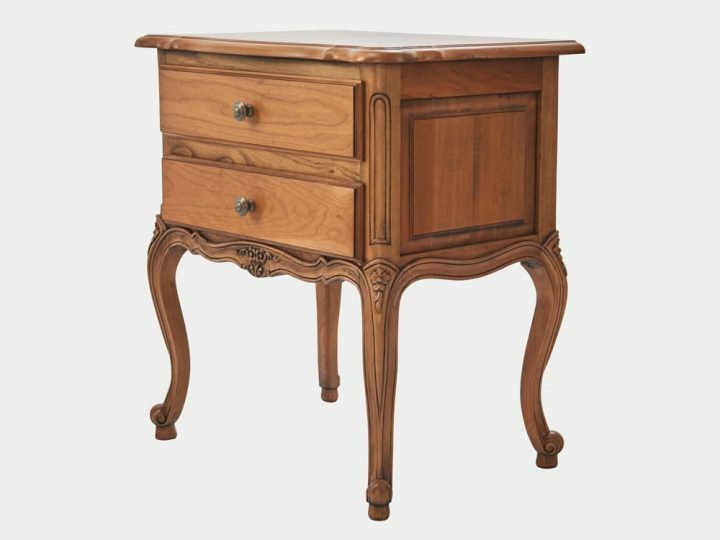 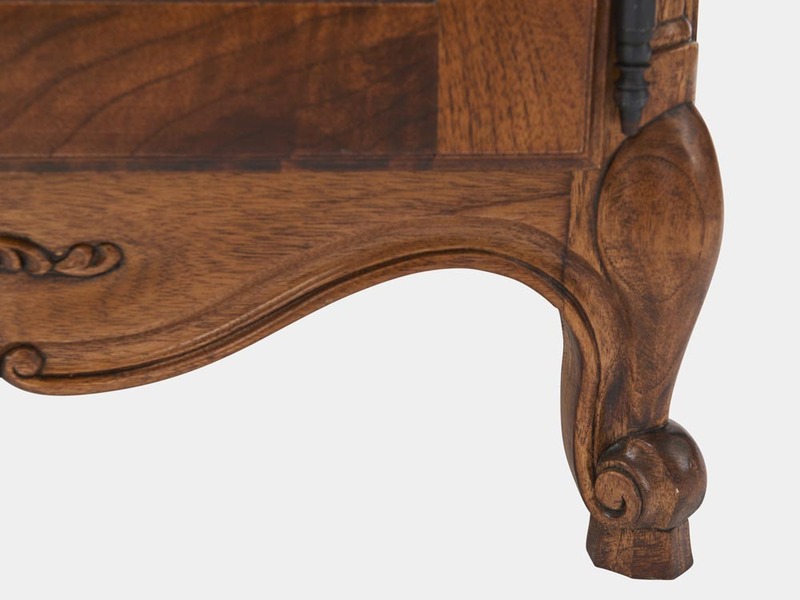 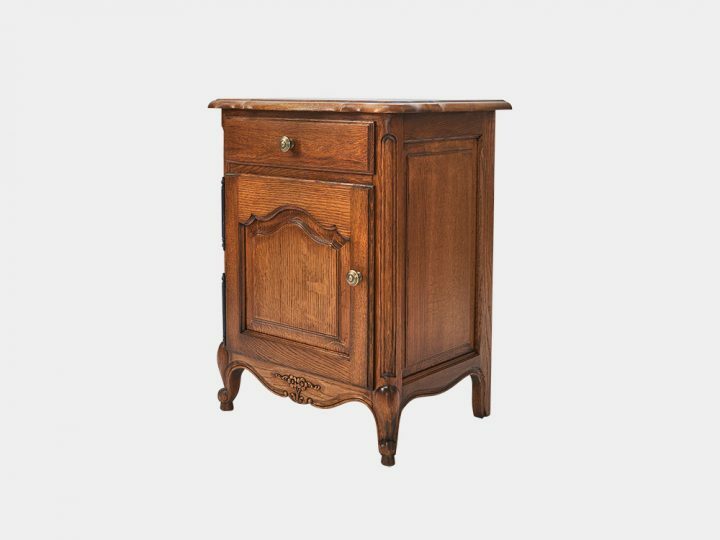 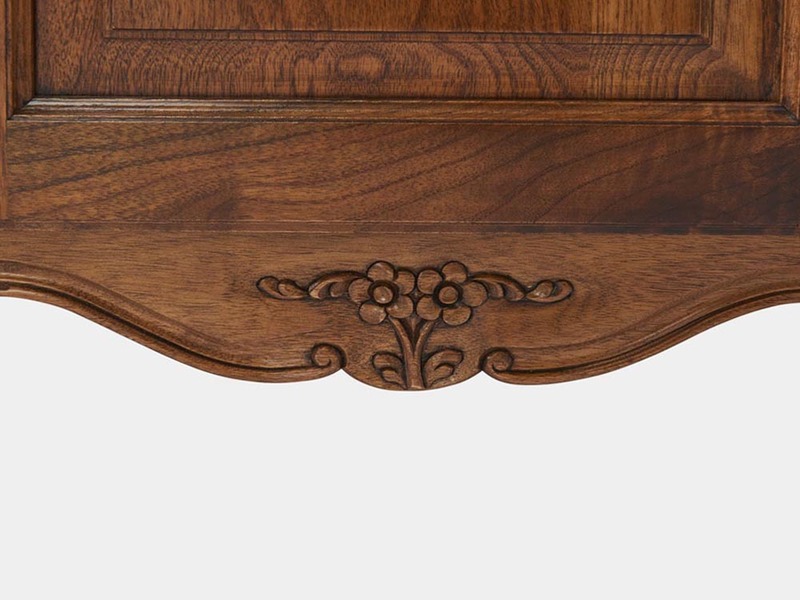 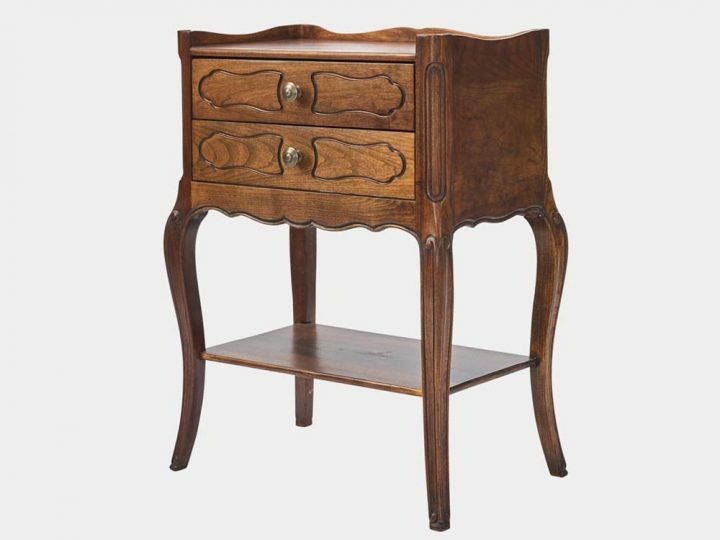 French Louis XV style bedside cabinet in solid walnut and parquetry top with hand carved floral motifs. It has one drawer and one door cabinet with one shelf inside. 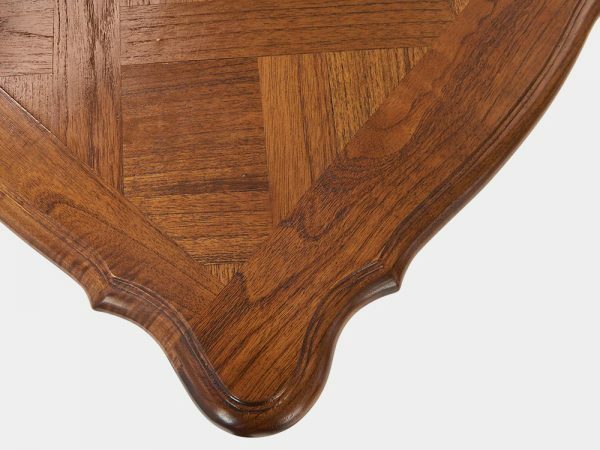 It is also available in solid oak.